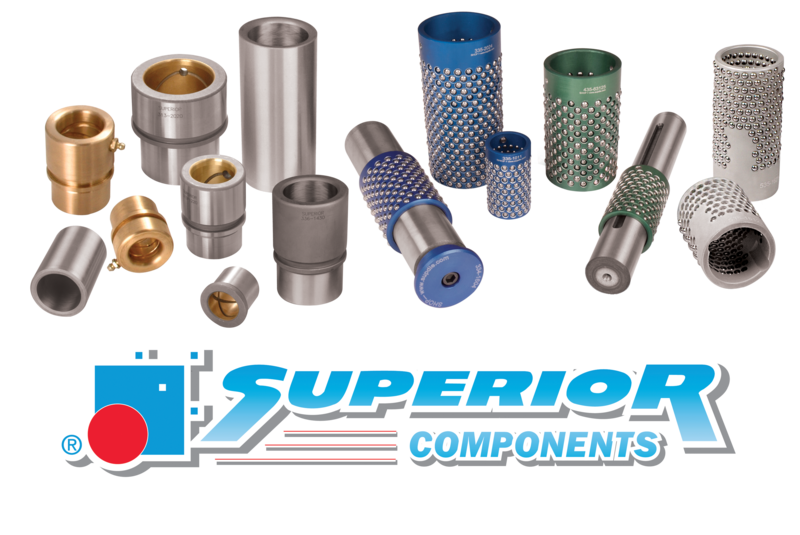 Superior Die Set Corporation has been making its own components for over 50 years, and we are the only die set manufacturer in the US that still does it in-house. We manufacture many standards as well as special components, which are frequently used to provide greater design flexibility when faced with adverse circumstances. Owning and controlling this product line gives us high accuracy and speed to meet complex customer needs and aggressive lead times. We can control the quality every step of the way, maximizing precision and efficiency. We don’t have to wait on shipments of replacement components to keep the process moving. We have three component manufacturing facilities around the world with unique capabilities, giving us complete diversification with a global capacity.We also we have a complete in-house inventory for immediate shipment, available in inch or metric. Friction bearing die set components offer an economical solution for standard applications. However, the great thing about working with us is that we can customize them to meet unique demands, giving our customers the flexibility they need. We also offer our Bronze-Rite® bushings, which are the class of the industry, using a unique fusion process to bond the bronze to steel like nothing before. They offer excellent lubricity with maximum service life. Our material types include: Steel, Bronze, and Bronze-Rite in Superior and Lamina™ standards. 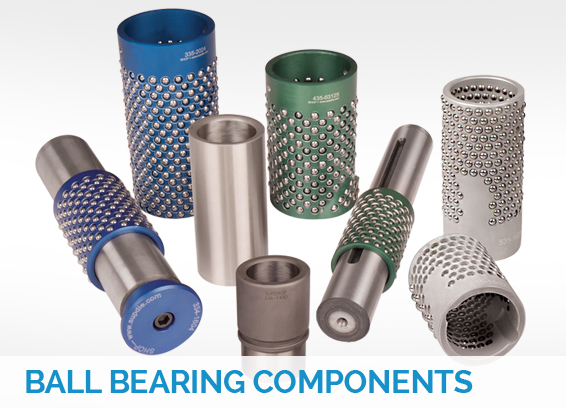 Our ball bearing die set components provide maximum performance for high-end applications. With optimal precision, these components ensure accuracy and reliability. Again, since we make them in-house, we can make them to any standard our customers need. 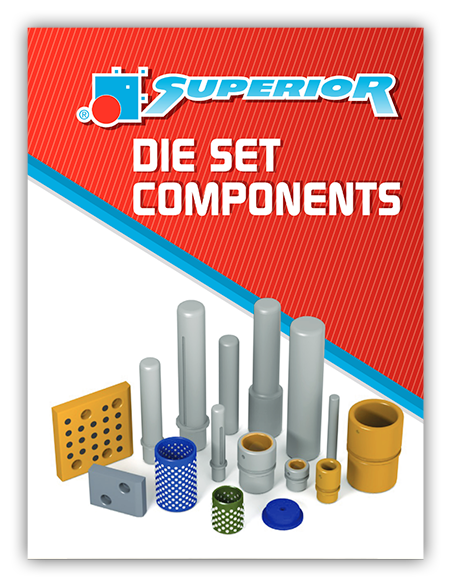 Superior Die Set also manufactures components used in heavy-duty die sets for the metal stamping and forging industries. When thrust and extreme forces are involved, wear plates bear the brunt of the heavy loads produced in these violent applications. 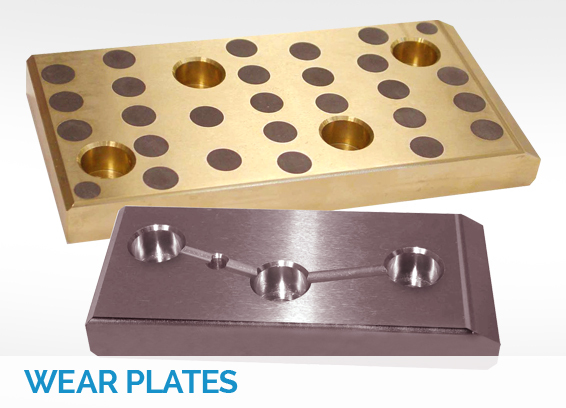 We offer standard wear plates, and we can also manufacture steel or bronze wear plates to your specifications. 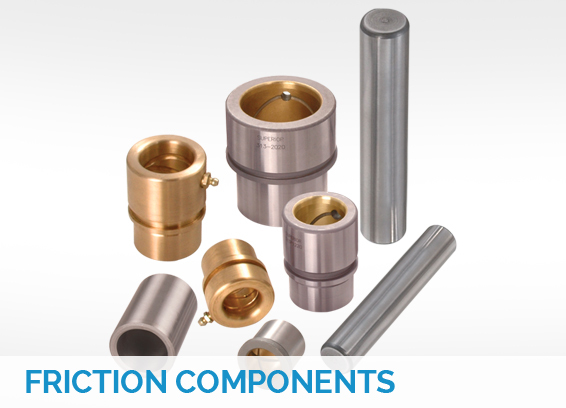 Check out our wide range of die set components available for immediate shipment.